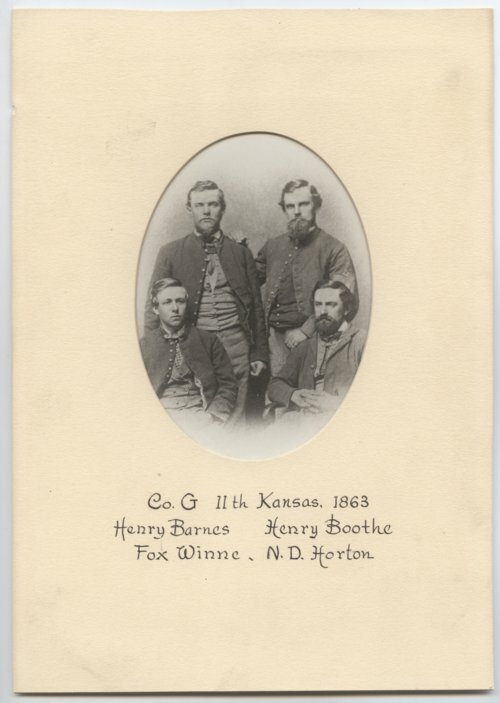 A photograph showing members of Company G, Eleventh Kansas Volunteer Cavalry. The soldiers are identified as seated (left to right) Fox Winne, N. D. Horton and standing Henry Barnes, Henry Boothe. The photograph was possibly taken in Galveston, Texas.